Health and fitness brand, Bootea, offers a range of fitness and weight-loss products including herbal teas, shakes, supplements and even popcorn. Their ethos is focused on helping people achieve a healthy, balanced lifestyle and body confidence. We delivered some brand-boosting, engaging and audience-focused content marketing. 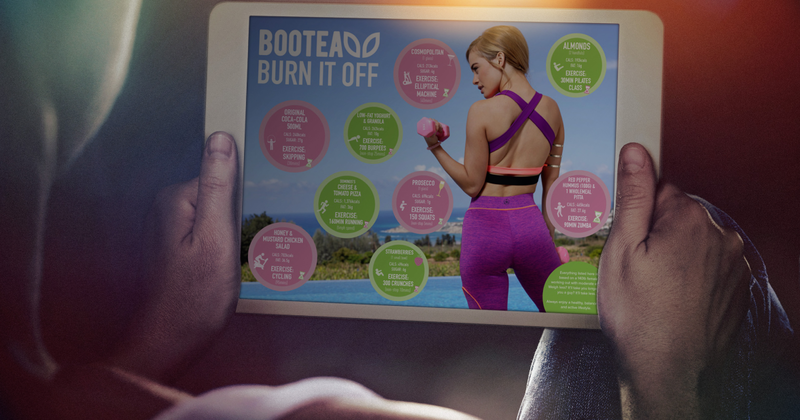 With the health and fitness sector being one of the more competitive, particularly in terms of online content marketing, we knew we needed a way to make Bootea’s brand boom. All content created would have to truly fulfil a purpose, in order to make it useful, interesting and shareworthy to such a demanding, already well-catered-for audience. We also needed a content strategy that was flexible enough to accommodate work ad hoc, as Bootea’s audience is a very-much engaged, online community. Content would have to easily reciprocate to any popular trending topics, celebrity news and any current affairs that this particular crowd would be excited about. Before any language development started, our creative and content teams collaborated – to first understand the Bootea brand as best we could. Language examples were created and tossed around, in a similar process to the development of brand guidelines. With the influence of the Bootea brief, plus support from our extensive audience research, we decided what felt like a right fit, and what didn’t. Once a fun, youthful and witty tone had been developed, we applied that writing style to a fully fleshed-out content strategy. Ideas, topics and subject matter varied; from weight-loss and diet tips, to body confidence, mindfulness and so much more. In this industry, it can sometimes be a struggle to remain impartial – it would be unethical to offer an audience any unsupported medical/fitness advice – so the key with a brand like Bootea is to always make this clear. Fortunately, our extensive experience writing in the fitness industry meant that we were well-versed in created balanced, unbiased but still useful, content that would assist the audience in making their own informed decisions towards a healthier lifestyle.